Government authority located in Kansas, USA; based organization looking for expert vendor for e-rate hotline support services. (1) Vendor needs to provide e-rate hotline support services form at least Monday through Friday from 8:00 am to 5:00 pm Central Time Zone, excluding public holidays. 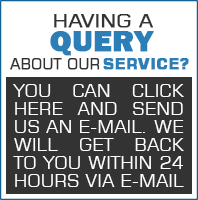 - Toll-free number to answer questions from client locations during the period of performance. - Voicemail and email support shall be available at all other times. - Quarterly reports to detailing the number and types of calls, responses and other statistics. - Federal e-Rate website link. - Scheduling of six Fall e-Rate trainings. - Record audio and video of one training to post to the e-Rate website. - Contractor will employ staff that are subject matter experts and able to assist end-users with all aspects of the e-Rate application, procurement and implementation process. - Assistance for clients via phone support and email. - Information on training resources for districts and service centers. (2) All questions must be submitted no later than April 11, 2019.